I read this article and found it very interesting, thought it might be something for you. The article is called Mumbai Police orders probe into Zakir Naik’s speeches and is located at http://www.panasiabiz.com/9022/mumbai-police-orders-probe-zakir-naiks-speeches/. On July 06, 2016, Times Now started a campaign with a hashtag #stopzakirnaik soon after the revelations from Bangladesh Information Minister about the controversial preacher’s inspirational speeches to terrorists. It has been now alleged that Zakir Naik’s speech has inspired some of the Dhaka attackers, and in the midst of all these developments, Mumbai Police has ordered a probe against this man. Chief Minister Devendra Fadnavis has ordered top Mumbai Police officials to conduct a probe on this speeches, and to submit a report. Speeches of Zakir Naik have always been controversial, as he has made supporting remarks for Osama Bin Laden and other terrorist activities. Fearing attack against Zakir’s residence, Police has deployed huge force in front of his house. Now, a 2012 video which features Zakir Naik and Congress Leader Digvijay Singh has surfaced on the internet. The video shows Digvijay praising Zakir Naik as the messenger of peace. BJP has already taken up the issue, and they are now demanding an apology from this senior Congress leader. Venkaiah Naidu, the honorable Information and Broadcasting Minister told that Zakir Naik’s speeches are really objectionable, and he should be sued at any cost. 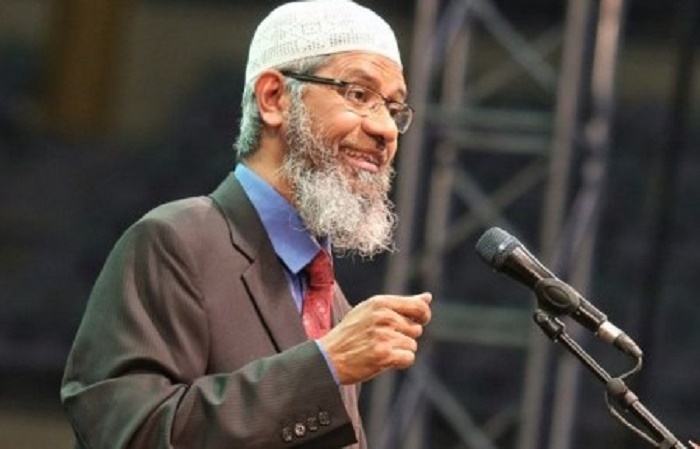 Moderate Muslims in the nation claim that Zakir Naik’s speeches are giving an extra energy for Islamic Youth to fight against non-Muslims in the country. As the clutches of terrorism are being spread everywhere in our nation, cases like this should be given prior preference, and culprits should be nabbed at any cost. If Zakir Naik is delivering speeches which act as a threat against the secularism in our country, then he should be put behind the bars as quickly as possible.